My preserving food program is under construction. Due to be presented at the Howard County Conservancy Mt Pleasant, on August 23rd. Details here. I have been dealing with excess CSA veggies and fruit for a number of years. 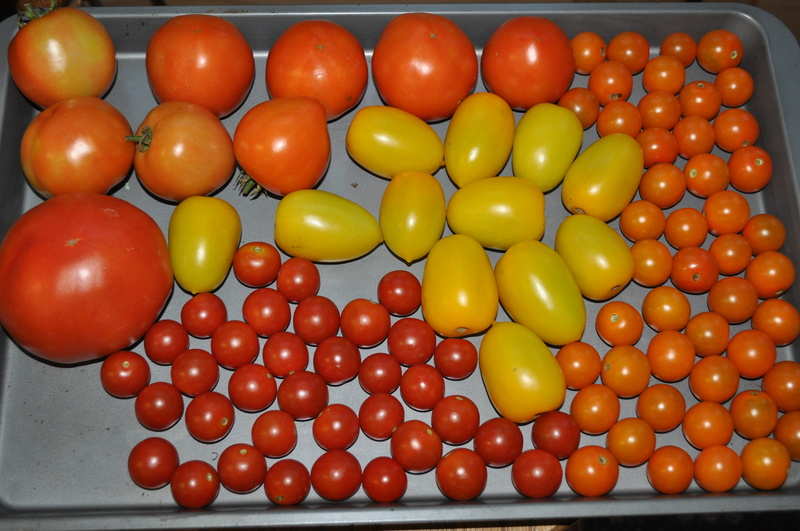 Plus, I do a number of pick your own excursions, looking for those staples, like tomatoes, berries, apples. I do many techniques, other than canning, that are simple to use to prolong the local goodness well into the winter. I have been creating a new page for my site. It will be the go-to page for recipes and tips and places to find affordable fruits, veggies and herbs to put away for the winter. All this is taking time. Time I have being retired. But, simple techniques like ice cube trays used to make individual fruit or pesto portions, or maybe my blanch and freeze technique for tomatoes and peaches, will inspire people to keep a few special favorites on hand. To make peach pops in the winter. 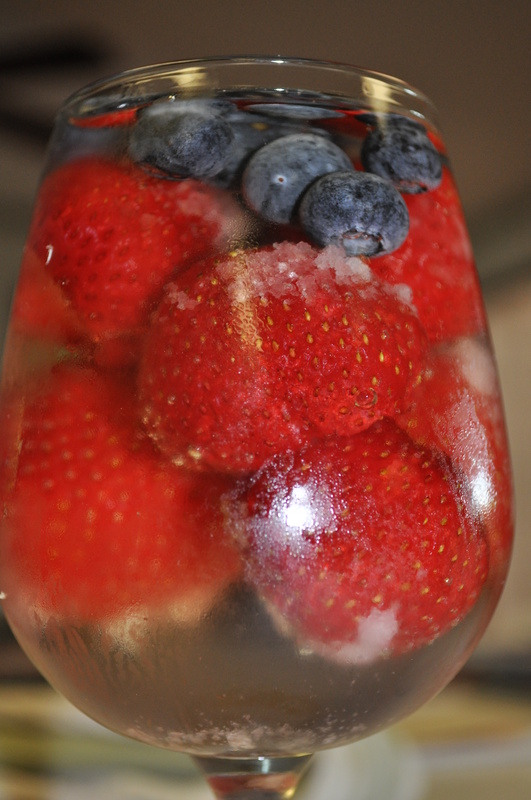 Or add strawberry ice cubes to a glass of wine to make sangria. Or defrost a pesto cube to make summer tasting pasta. Keep checking here to see when my new page goes live. And, come see what fun we can have with the fruits of our labor (for all us gardeners out there). August 23rd, 10AM at the Conservancy Mt Pleasant. Free program. Posted in CSA, Food, Gardening, Real Food and tagged cooking, CSA, Food, foodie, gardening, heirloom tomatoes, howard county conservancy, real food, tomatoes. Bookmark the permalink.